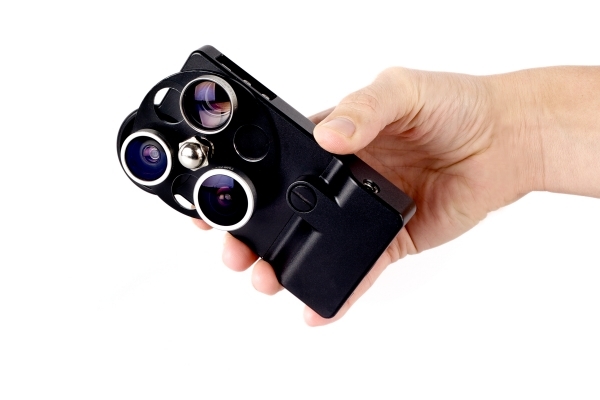 Olloclip: this cool kit contains 3 lenses you can use to enhance your phone’s camera. It includes fisheye, wide-angle and macro lenses. 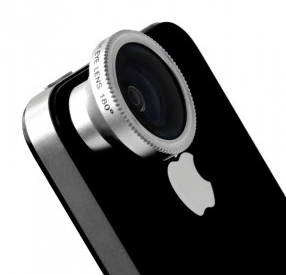 The iPhone Lens Dial: offers three optical-quality coated glass lenses. You get wide angle, fisheye, and telephoto lenses all fit in one gadget. Just rotate the disc to change the lens you are using. 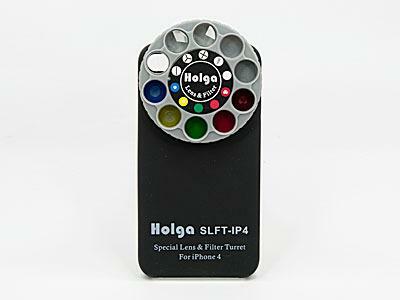 Holga iPhone Lens Filter Kit: a super cool kit that brings 9 awesome effects to your phone’s camera. Just dial in your favorite effect to get started. 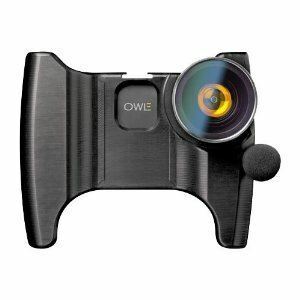 Owle Bubo iPhone 4 Camera Complete HD Video Kit: this kit contains wide-angle / macro lenses to enhance your phone’s camera. It helps improve your grip too. 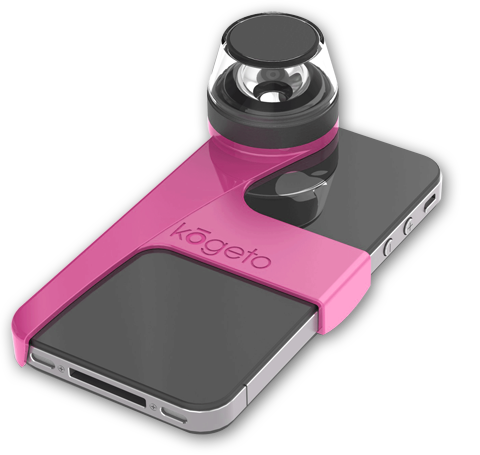 Kogeto Dot: an amazing add-on for iPhone 4 and iPhone 4S that lets you take panoramic video on the go. 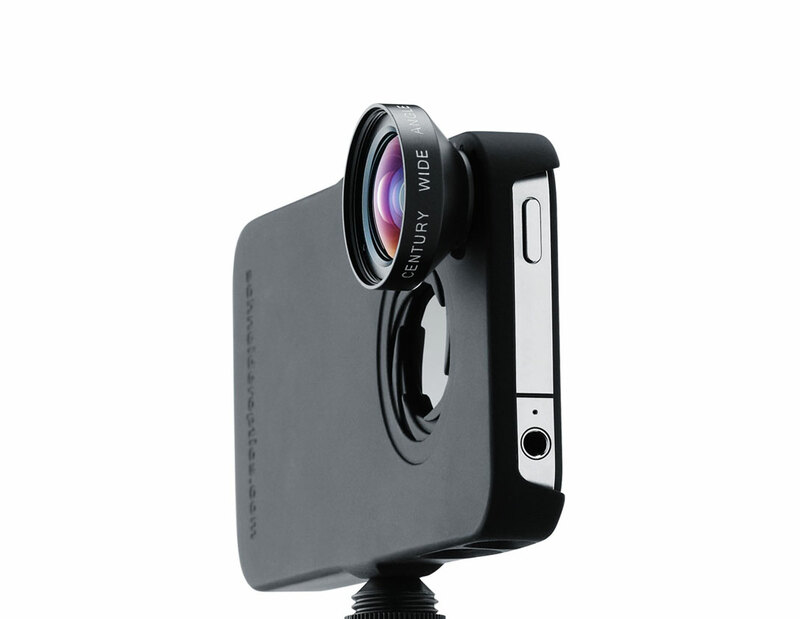 iprolens Kit for iPhone: a lens case with two lenses. It protects your iPhone and enhance its camera. Mujjo Fisheye Pro lens: one high quality fisheye photo lens for the iPhone 4. It uses a sticky magnet ring to connect to your device. 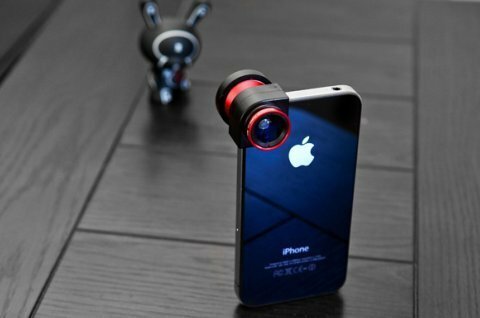 These lenses and add-ons give you the chance to get even more out of your phone’s awesome camera. They are not that expensive which is nice to see.